Nature’s Path, the organic and gluten-free experts, are bringing their two well-loved kids’ cereals to the UK. 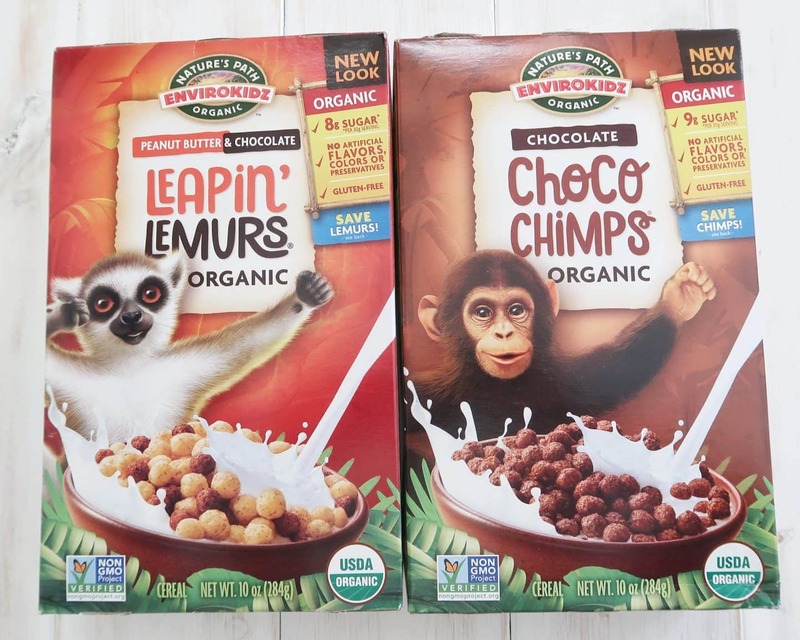 Envirokidz Leapin’ Lemurs and Choco Chimps are delicious organic, gluten-free and dairy-free breakfast cereals that your kids will love. Nature’s Path created Envirokidz cereals in order to continue their support of eco-friendly and conservation issues. They donate 1% of sales to support endangered species and environmental education for children worldwide. 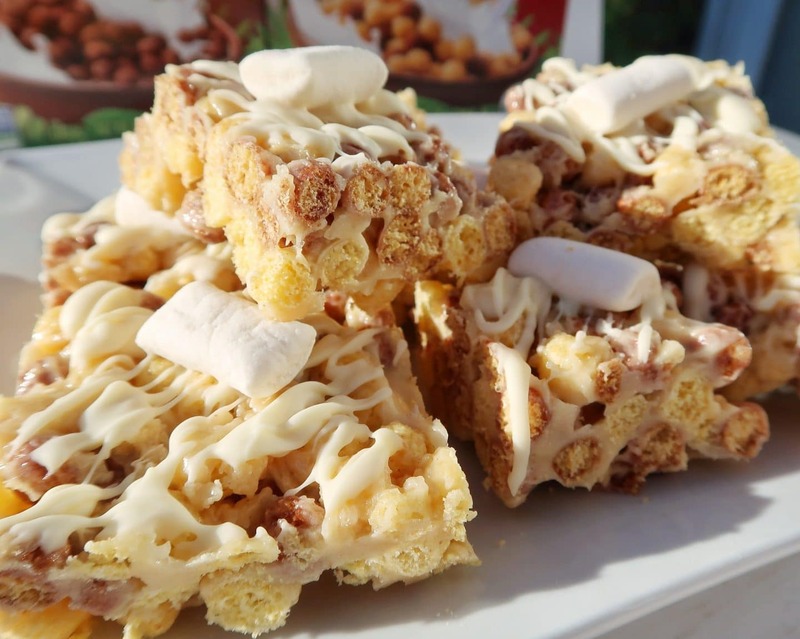 Nature’s Path asked me to try their gluten-free cereals and to create a delicious recipe that can be enjoyed by the whole family. Also, this gluten-free crispy cake recipe is dairy-free and vegan. In addition, your little one could win an awesome prize – sponsorship of a lemur AND one of each cereal to try – in a monkey rucksack. Just check out the Rafflecopter at the end of the post to enter. This gluten-free crispy cake recipe is incredibly easy to make and uses only a few ingredients. The result is a deliciously crispy and gooey cake that children and adults will love. You may need to go to a bigger supermarket or order online in order to get hold of dairy-free spread and vegan marshmallows. 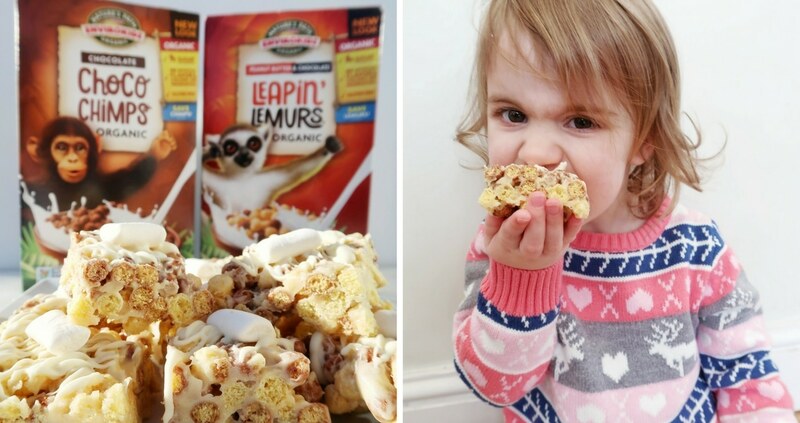 Leapin’ Lemurs and Choco Chimps are available from Envirokidz stores nationwide at a RRP of £2.99. Firstly, use dairy-free spread or oil to grease a small baking tray or tin. Next, melt the dairy-free spread in a pan over a low heat. Add the vanilla extract and the vegan marshmallows. Continue to heat and stir until the marshmallows melt and form a gloopy liquid. This can take a little while – just keep stirring! Once melted, turn off the heat and pour in the cereal. 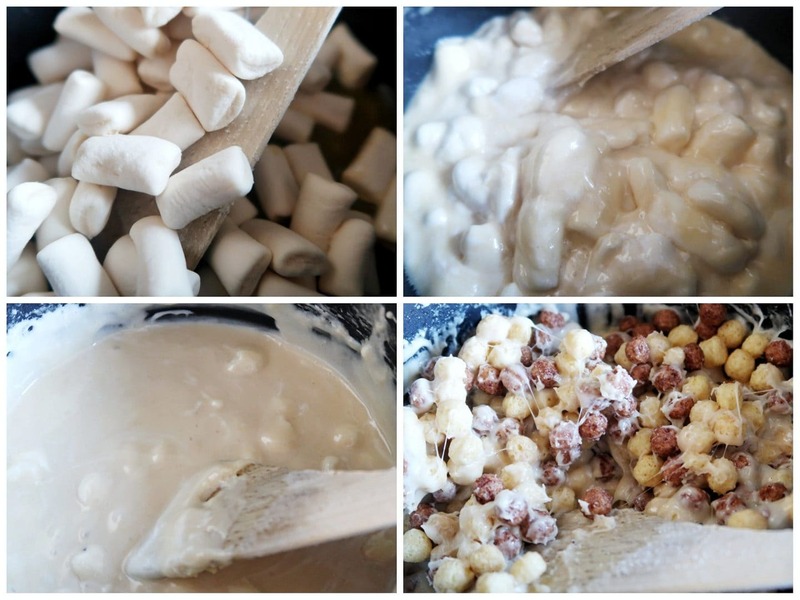 Next, mix the cereal and the marshmallow mixture until the cereal is completely coated. Next, pour the mixture into the baking tray or tin. It can be very sticky but try to flatten it and push it so that it forms an even layer and fills in the corners. Chill in the fridge for an hour or two. Once set, remove from tray and cut into squares. If you wish to decorate the crispy cakes, you can use melted dairy-free chocolate and drizzle over. Finally, decorate with any extra marshmallows. One lucky reader’s child could win the opportunity to adopt their very own lemur. The Adopt a Lemur scheme is run by The Lemur Conservation Project, the charity Envirokidz helps fund via donations of sales of Leapin’ Lemurs. The adoption includes a certificate and information about your chosen lemur species, a subscription to LCF’s e-newsletter and other publications, a lemur power bracelet, and an LCF membership card. 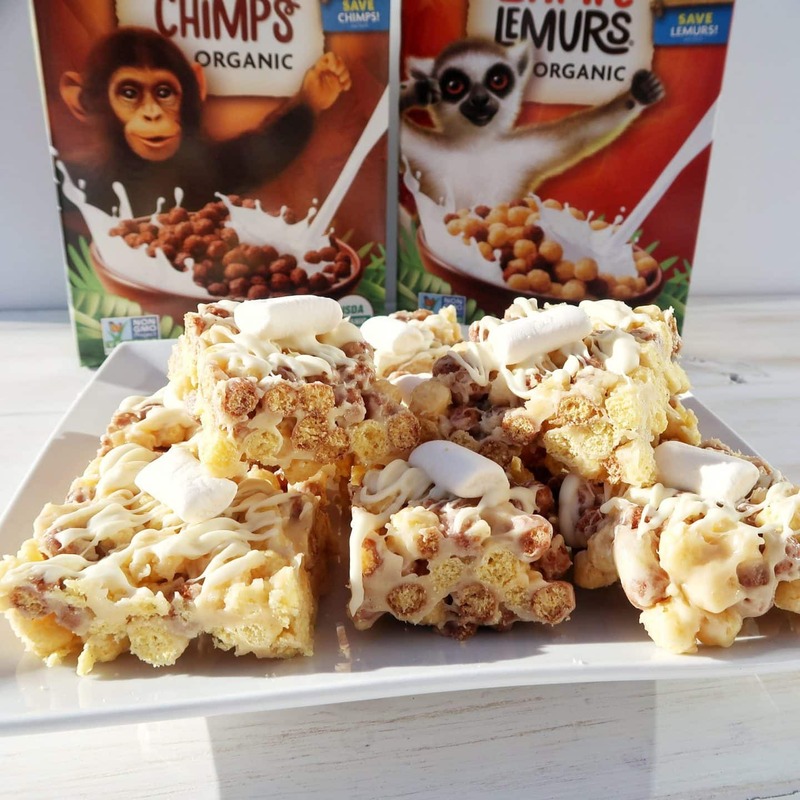 In addition, the prize also includes some delicious Envirokidz Leapin’ Lemurs and Choco Chimps, presented in your very own monkey backpack – a brilliant prize for any young animal-lover and conservationist. Finally, to enter, use the Rafflecopter below. Please note, entrants must be UK residents and other terms and conditions apply. See the Rafflecopter for more details. This post is a paid collaboration in partnership with Envirokidz from Nature’s Path. Breakfast first meal of the day, giving energy to get on with the tasks and adventures in life. Loving animals, a lemur adoption would be appreciated and enlightening, as great to be keeping up to date on lemur ‘s welfare. Forget the little ones, I want to win it. My boys are really enjoying this cereal – it is delicious and healthy! Ooooh, these babies look lovely, Danielle! 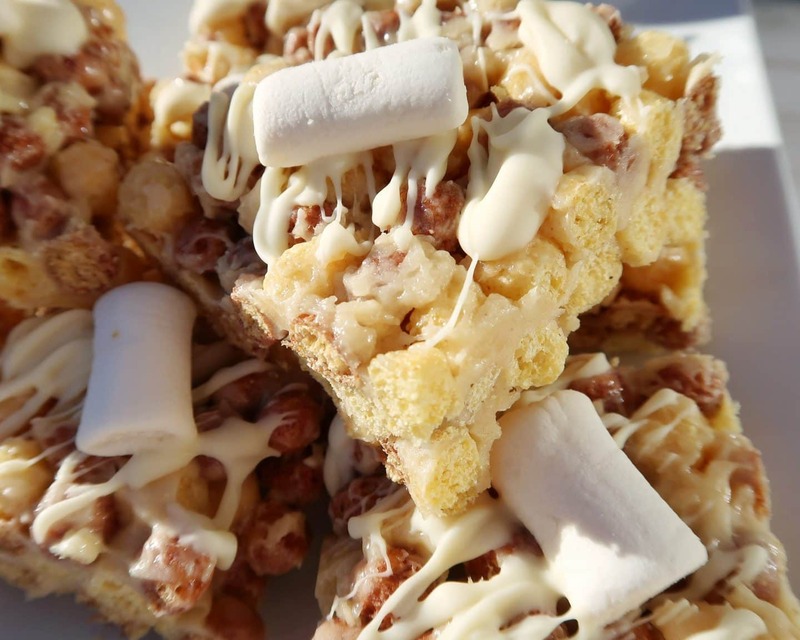 My 4 would love them – they look just like Squares, one of their favourite snacks! This crispy and gooey cake looks delicious and would go down a treat in my house. I also love the fact that it’s gluten-free and the recipe is easy to make and uses only a few ingredients. My nearly 6 year old would love this – lemurs are his favourite animal after watching the film Madagascar. He is really into maps and has been able to point out where Madagascar is for the last two years! By the way, those cakes look awesome. Never heard of Envirokidz before but will be looking out for the brand now. I try to buy organic for my son and family as much as possible and i know he would love the crispie cakes too. It is always fantastic to find coeliac friendly products and my two just love animals! So fantastic! My mum is Coeliac and the kids always want to eat her special food, so this would be great for them to share with her! My son would love these as he loves trying new cereals. I would love to try them too as i have coeliacs disease and love finding new gluten free products. 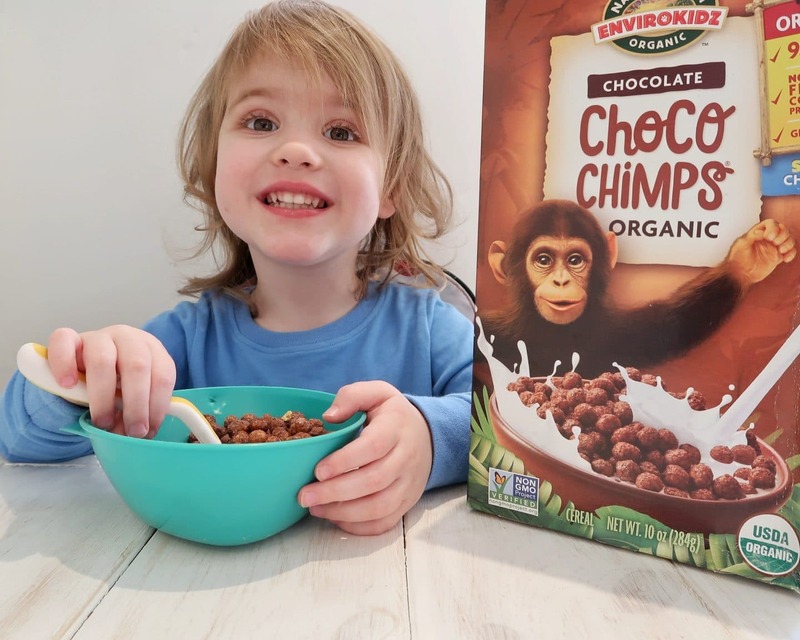 My daughter will love a bowl of cereal before going to school especially the choco chimps. She will love the design of the boxes. My nieces love animals and chocolate, so this would be perfect! They would love this as they love animals so this would be a great reward for them. Violet is aged 2 and is allergic to quite alot of food stuffs so this cereal would be just the job! And how awesome would it be to sponsor of a lemur, amazing! I’ve not seen this cereal before. my son likes making rice crispie cake, but these are a little different. It would b nice to try them.. they look great. My daughter just loves animals. She won the golden trophy at school once and instead of opting to get a treat, she decided to sponsor a dog through The Dogs Trust. Sadly she has been through 4 different dogs as they keep passing away but she still sponsors, bless her heart. I would love to win this for my nephew. Thanks for the competition. Would be great for my little one! My son loves animals and is always munching on some cereal, I haven’t seen this cereal before but will need to keep a look out for it.